Spiro Solutions Pvt Ltd is an ISO 9001:2008 Certified, IT Solutions Company, offering Custom Software application development and web site development From India services to clients in the India and Abroad since 2006.As a dedicated Custom Software development solutions provider, we try hard to deliver superior quality and cost effective Web Design development solutions to our clients by following customized processes to deliver on-time and quality outputs. Responsible for development, support, maintenance and implementation of a research project. 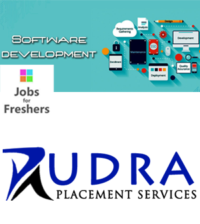 To work in (.NET using ASP .NET ) / in JAVA on Windows based & Web based applications Development. Should be a good performer. Proactive in identifying problems and suggesting solutions.